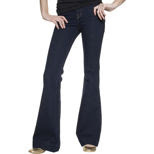 Barney's is having a great sale on jeans right now. The above jeans look so right now and are very flattering to many different body types. 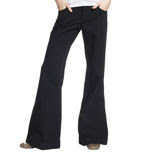 Because these jeans are dark, they can be worn in the evening with a pair of strappy, high sandals and a nice jacket. The jacket can be very fitted or a bit fuller. The only requirement for the jacket is that the hem should graze your hip bone, and be no longer. 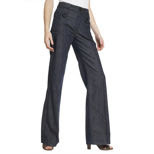 During the day, these jeans are versatile, you can dress them up or down. Citizens of Humanity also make dark jeans "Faye" that work well if you have bigger thighs.